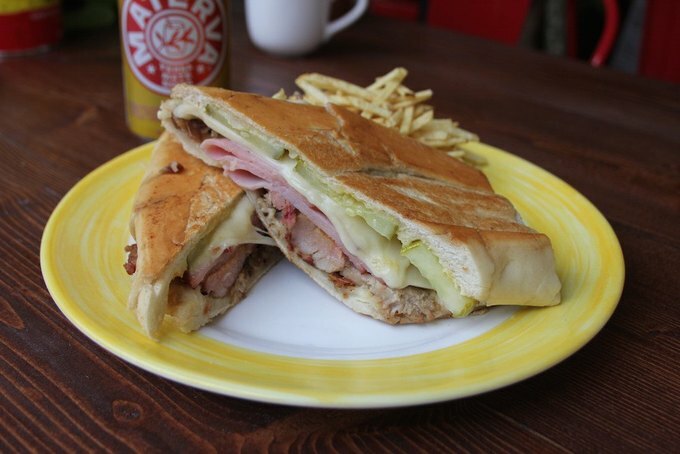 Millie's a new Cuban cafe is supposed to be among the first of several locations according to owner Danny Teran. 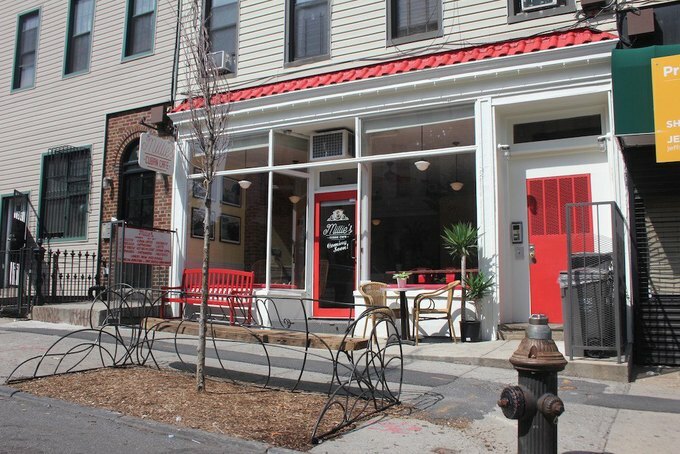 The owner of Alberto & Sons and Wheelhouse has introduced Bushwick to yet another restaurant- Millie's Cuban Cafe. The location on Wilson stands out on the block. 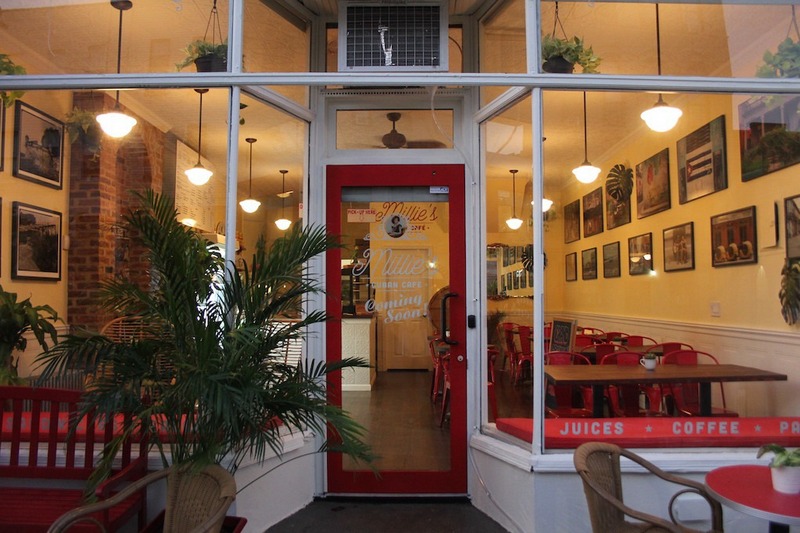 There's a front bench with the cafe's name in welded in cursive, vibrant pops of red, photos of Cuba from Keith Marlowe and Harriet Roberts and wicker seats that can make customers feel like they're in the Caribbean. A fridge for drinks features Jupina, a Cuban pineapple soda and there are stacked yellow and red can of iconic Cafe Bustelo behind the counter. Danny Teran, the founder and a co-owner of the location said that it's named in honor of his mother, the original Millie. Her photo is also used in the logo. When Teran was testing out the concept for Millie's, he invited his mother to New York and surprised her with the pop-up. It was a hit with both his mother and customers and once the current location opened up, Teran jumped on the opportunity. "I've always wanted to do something like this," he said. A lot of the dishes are a twist to foods that Teran grew up with and loves as a Cuban American. Several of his earlier businesses with his brother, like their food truck Bongo Brothers sold Cuban food. And thanks to the success of his other businesses, Teran has been able to go back to his roots. He said that one of his goals was always opening several location dedicated to his culture and his family. The entire menu has new "elevated" twists to Cuban food and even has a bowl, sandwich, or salad option that's then paired with different proteins. Vegan picadillo. 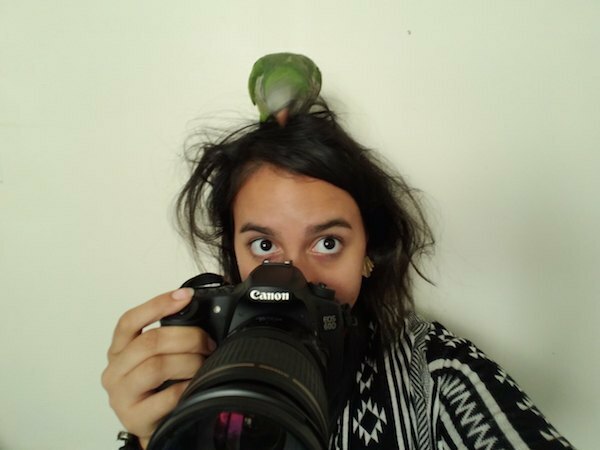 Photo by Danny Teran for Bushwick Daily. "I'm so proud of this, we're also making a version of an impossible picadillo that's vegetarian friendly," he said. "It's like the impossible burger, but with Cuban flavors." It's featured on the menu alongside Cuban classics like ropa vieja (old clothing), seasoned braised beef with creole tomato sauce. Apart from serving customers cafecitos, empanadas, Cuban sandwiches and dulce de leche ice cream, the location will also play all kinds of Cuban music. 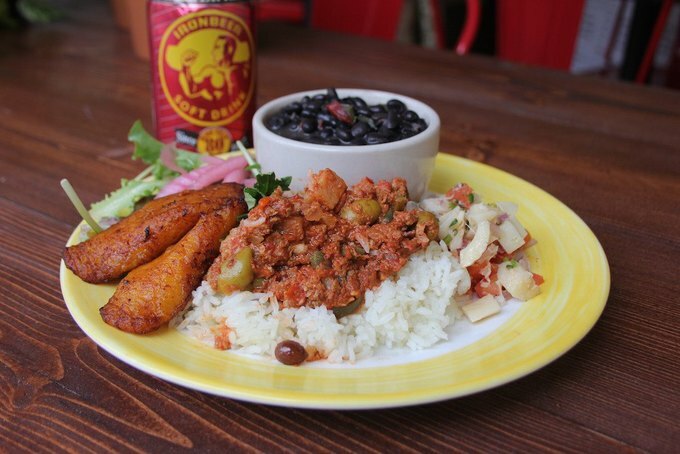 Get ready to chow down on the food while listening to legends like Celia Cruz. Millie's is on 151 Wilson Avenue between Hart Street and Suydam Street. It's open from 9 a.m. to 9 p.m.